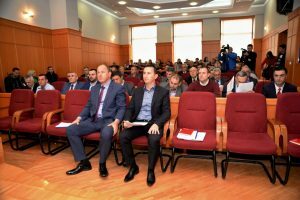 City of Trebinje Development Strategy for the period 2018-2027 is adopted at the session of the Assembly of the City of Trebinje held on 23rd of November 2017. The Strategy is prepared through active work of Board for coordination of activities in process of preparation of the development strategy and sector groups for economic development, social development and environment protection. Many stakeholders from public, private and non-governmental sector of Trebinje contributed in preparation of the strategy. Eda’s team has worked on preparation and moderation of meetings and workshops, as well as on writing and harmonising parts of the Strategy, in accordance with the methodology for integrated local development planning. Strategy is prepared with support of the United States Agency for International Development (USAID), within the project RAST (Restoring Accountability and Supporting Transformation (RAST) project.